The Return to Antikythera team comprised of a lot of talented people, across a wide range of disciplines (and nations). 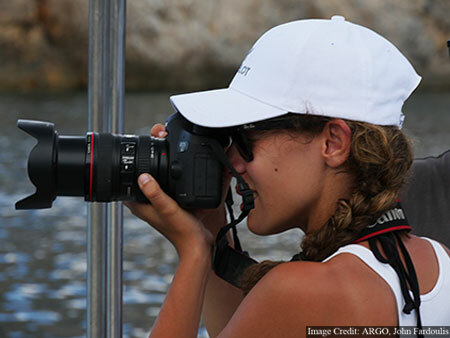 From archaeologists to technical divers, robotics experts, vessel skippers and crew, photographers and film makers. Here’s some candid photos of team members in action this season. A first installment featuring about one third of the team. Subsequent posts will follow shortly. 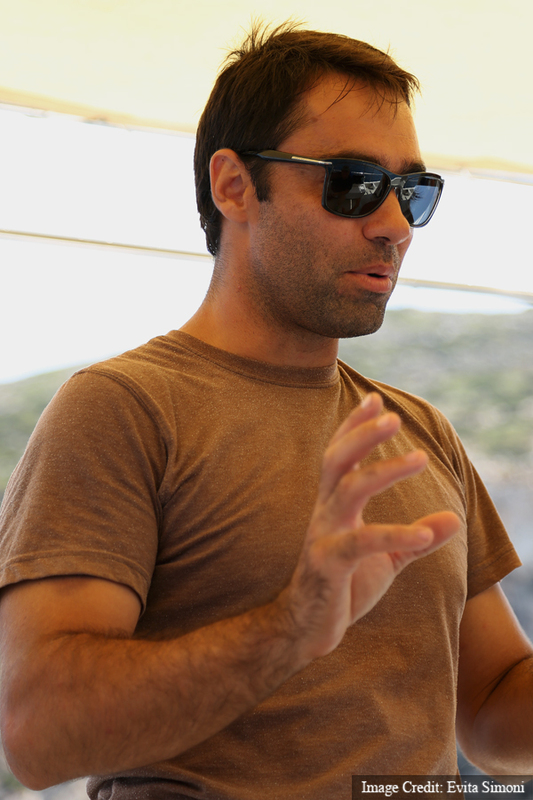 Dr. Theotokis Theodoulou, Project Co-Director, maritime archaeologist in the Ephorate of Underwater Antiquities of the Hellenic Ministry of Culture and Sports. 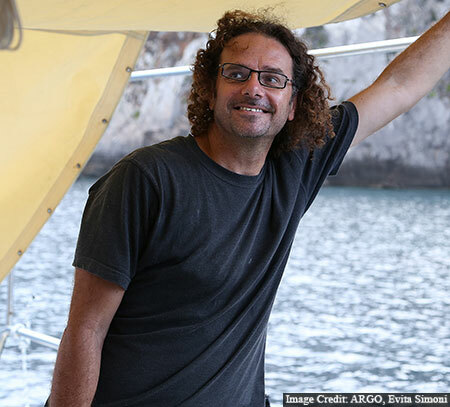 Dr Brendan Foley, Archaeologist – Woods Hole Oceanographic Institution, Project Co-Director & visionary. 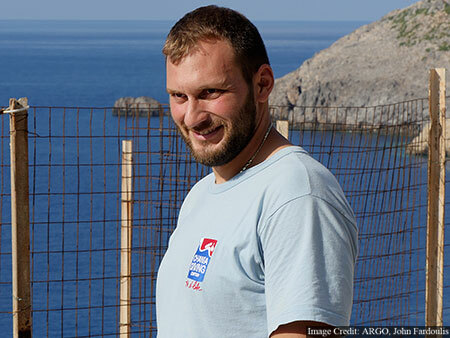 Alexander Sotiriou, lead diver, fieldwork organiser & technical diving instructor. 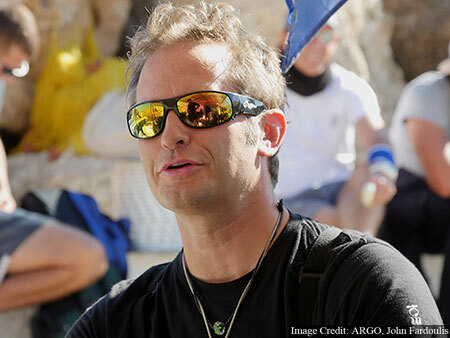 Phil Short, lead diver, rebreather instructor trainer. 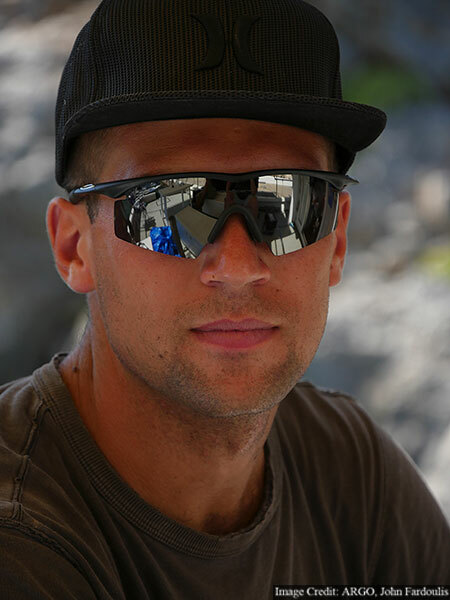 Evan Kovacs, bottom diver, videographer, film maker. 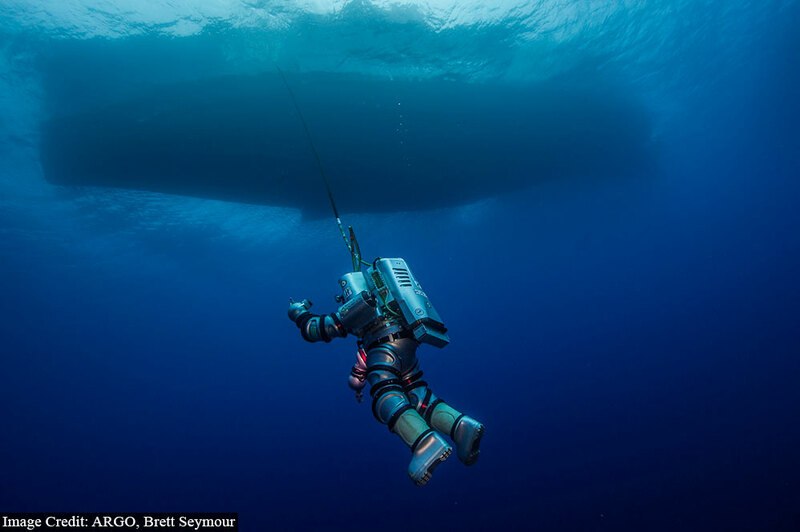 Brett Seymour, bottom diver, photographer. 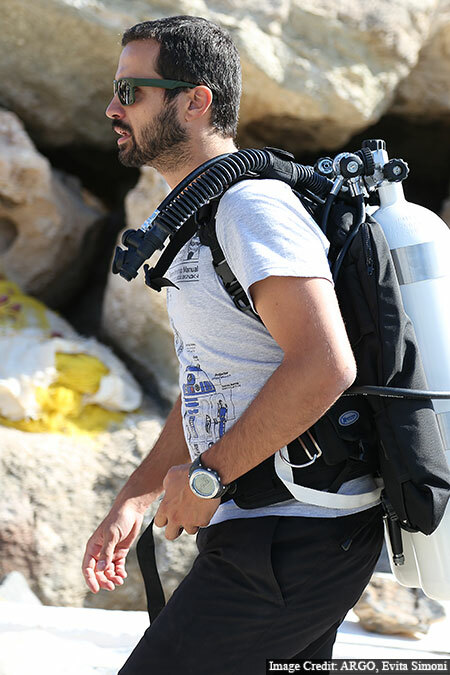 John Fardoulis, photographer, content producer, diver, drone pilot. OTE-COSMOTE installed two new base stations (cellular towers), to provide our project and guests reliable, fast 4G mobile internet coverage. Most of these updates were sent to the internet by their 4G network. 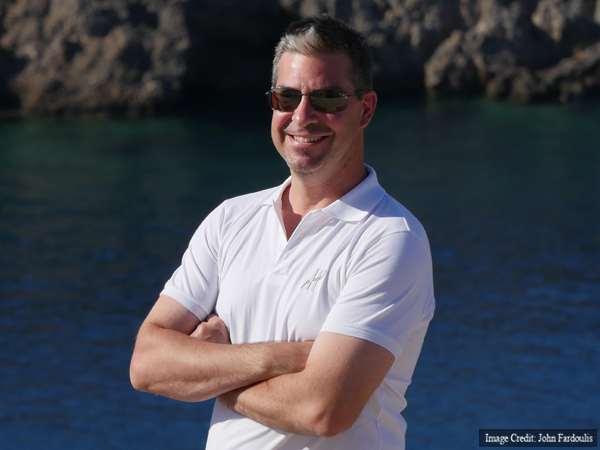 These new base stations will remain in Antikythera, providing the island with improved infrastructure as a result of the Return to Antikythera project and OTE-COSMOTE’s sponsorship. 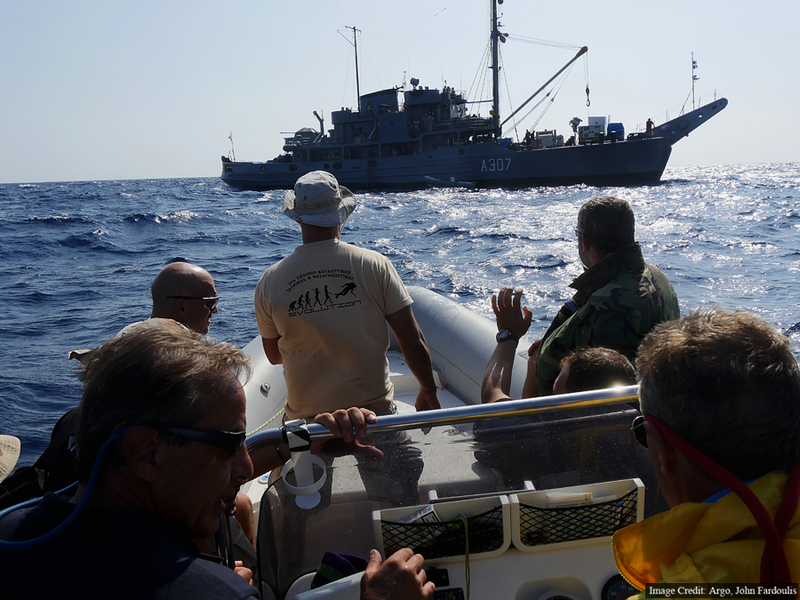 We were very fortunate to have the Hellenic Navy as a partner during the Return to Antikythera 2014 season. 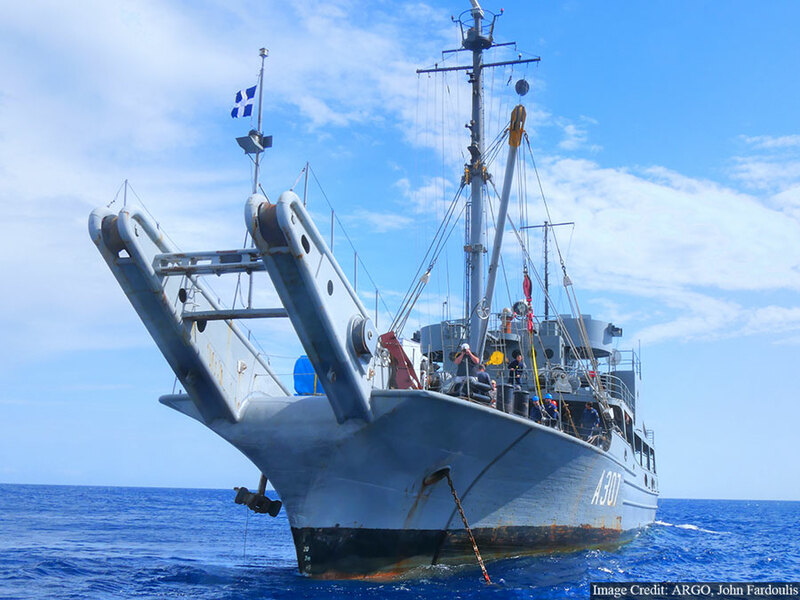 They provided the vessel, HN THETIS and a full crew, which functioned as a support craft for the Exosuit. 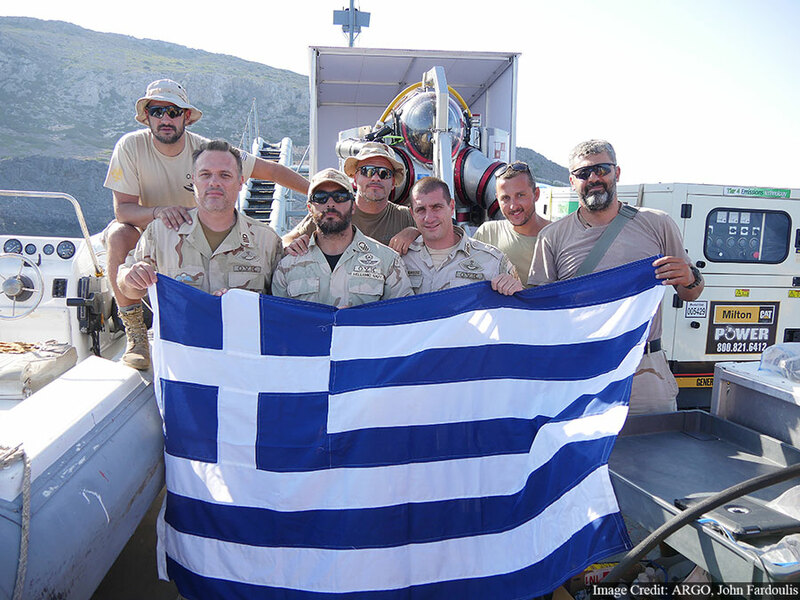 A seven man Navy SEAL (O.Y.K) team was also assigned to the project by the Hellenic Navy, who spent a considerable amount of time training on mixed gas Sentinal rebreathers prior to fieldwork, the same units as used bottom divers in the Return to Antikythera team. 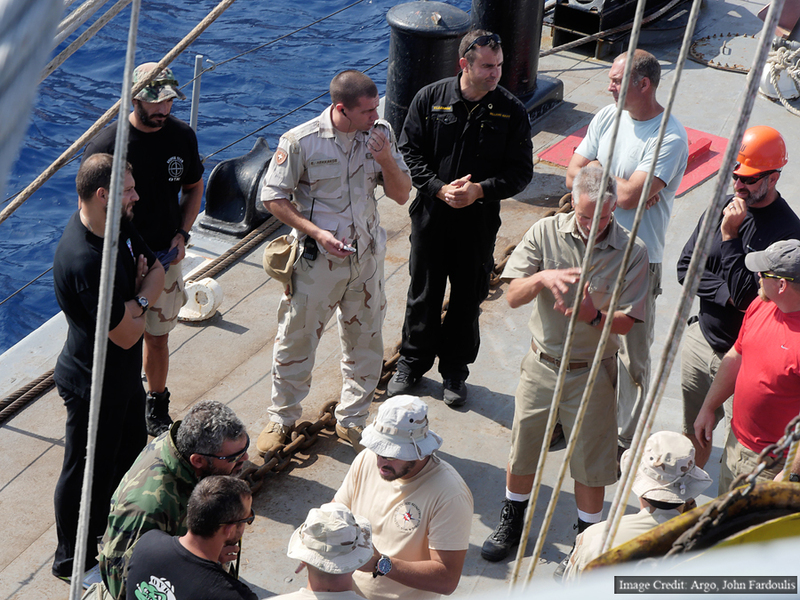 The Hellenic Navy SEAL (O.Y.K) team assigned to the project. 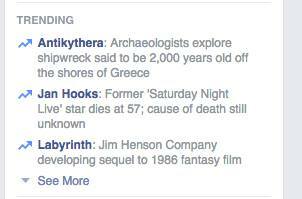 Antikythera is a difficult place to get to. 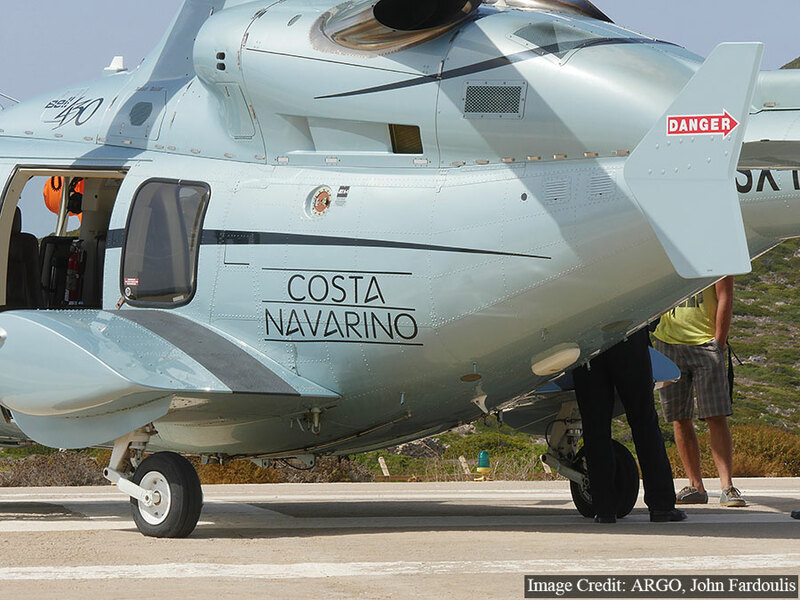 There is no airport (just a helipad), ferry services are limited and weather is often inhospitable, cutting off the island. 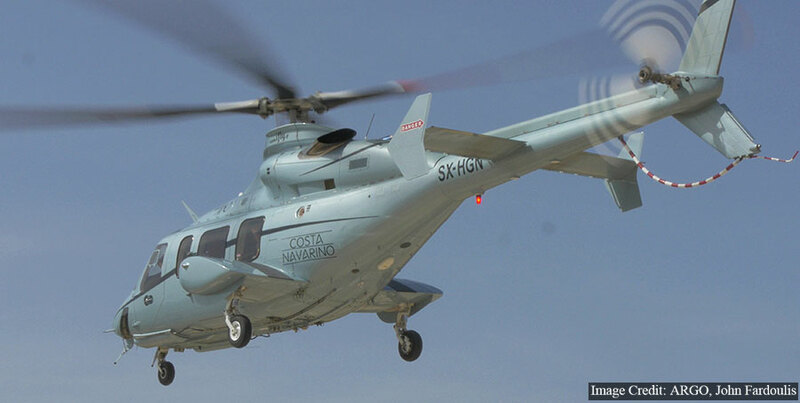 Hence, we were lucky to have Costa Navarino as a sponsor, providing a Bell 430 helicopter for transport when we were out of other options. 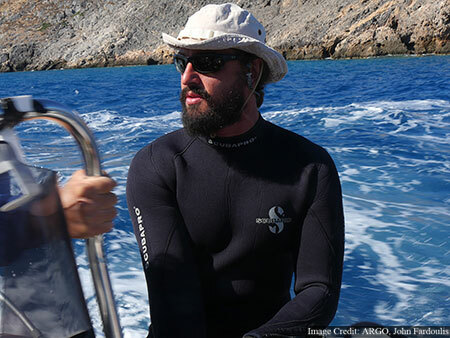 It brought VIP guests from Athens and those transiting from abroad, transported the archaeologists and diving team to Kythera for the sponsor event and was a nice safety blanket in case we got stuck. 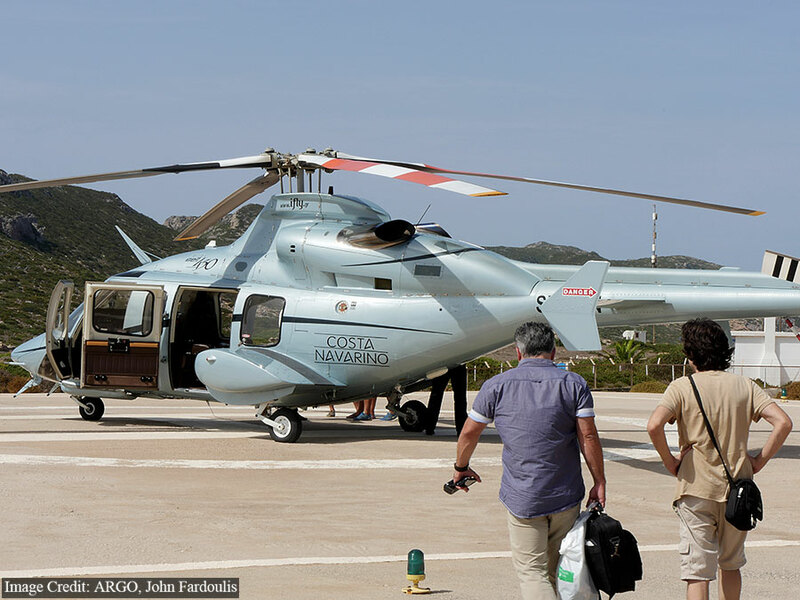 Mathias Buttet, Hublot R&D Director, leaving Antikythera with the Costa Navarino helicopter. 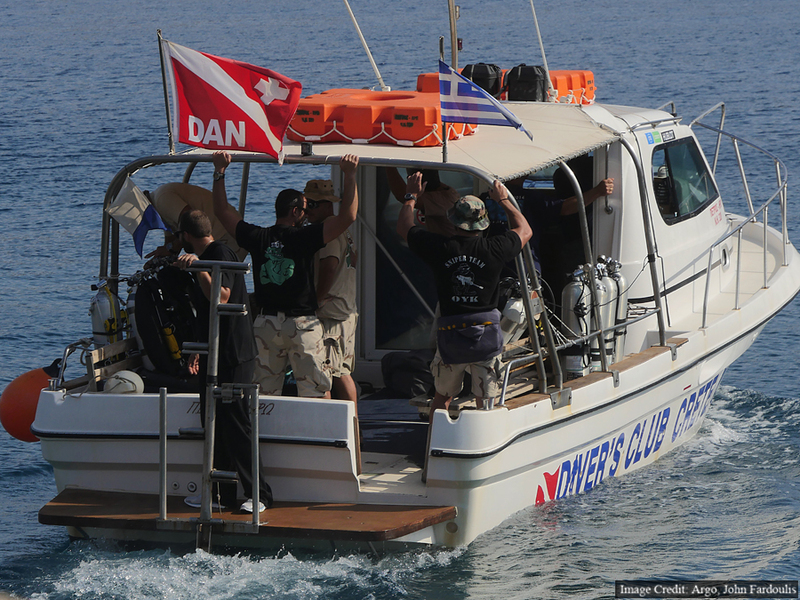 The yacht, turned research vessel GLAROS, provided by sponsor, the Aikaterini Laskaridis Foundation also helped a lot, being a platform for AUV deployment, providing accommodation and transport throughout the 2014 Return to Antikythera season. 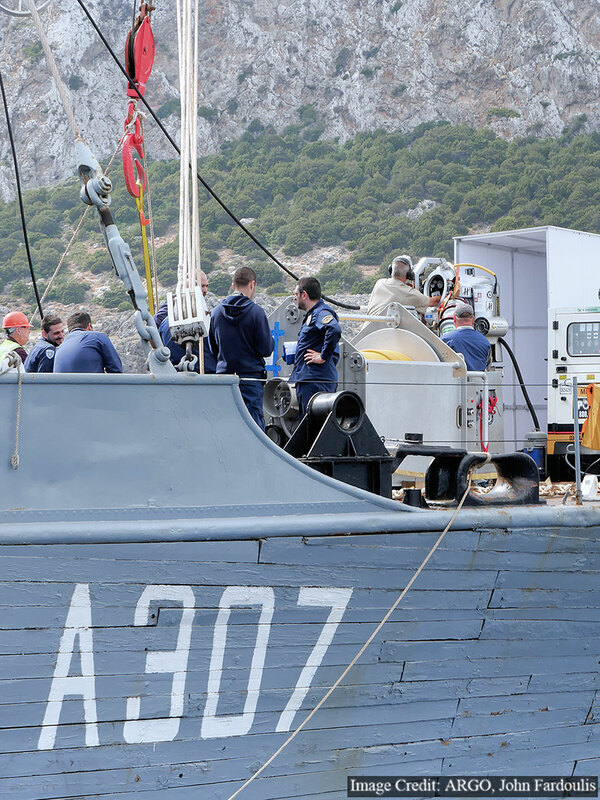 Especially transporting most of the archaeologists and diving team – plus hundreds of kilograms of equipment to Piraeus on Wednesday when fieldwork finished, rather them having to wait until Sunday for a ferry. 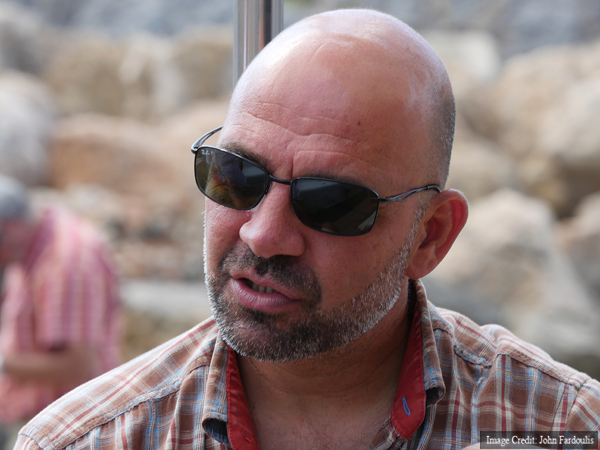 We’ve been really fortunate to be able to inspire people about the Antikythera shipwreck. Web, print and broadcast media have all helped share the excitement regarding new techniques and finds, taking a sunken time capsule located off an island with 19 permanent residents, around the globe. Coverage has been on a daily basis in Greek web, print and broadcast media, with many other mainstream media outlets also sharing the news in other languages and countries. News of the project even topped a Facebook trending list. It’s too difficult to list all the stories, the following are links to a few examples. 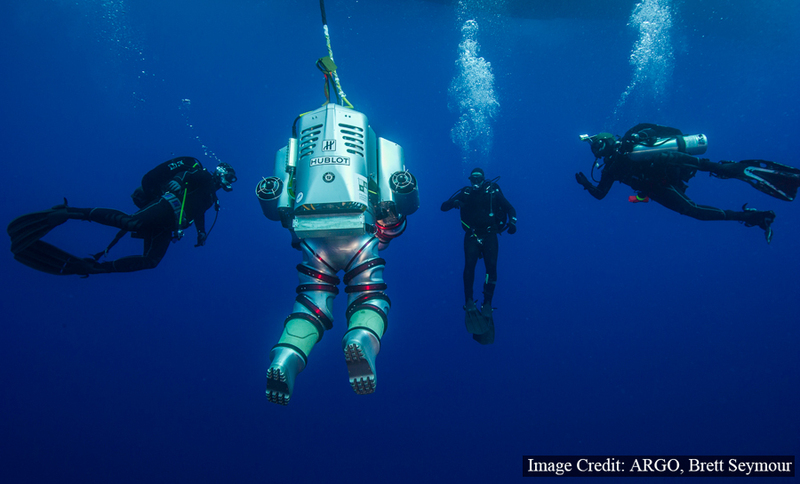 Philip Hilts from Scientific American joined the team in Antikythera, and has filed the following stories. And not forgetting our YouTube videos which were professional productions created on location. We’ve done our best to set a new standard for public outreach from in the field. 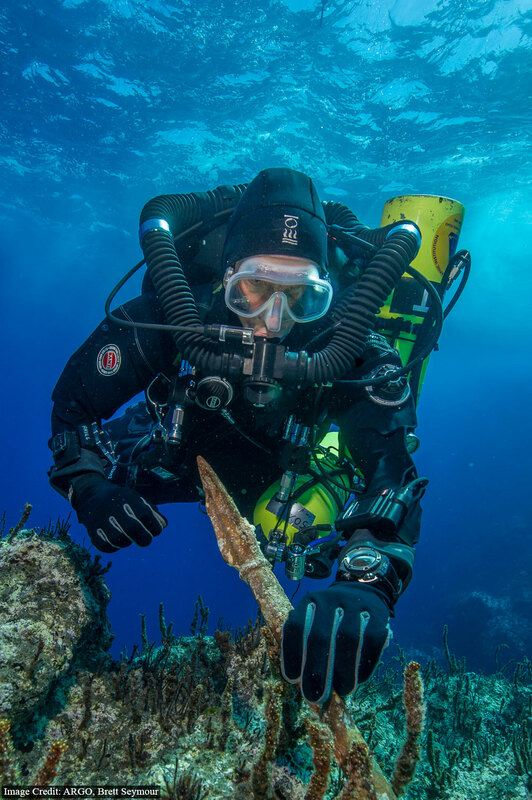 This video takes you onto the Antikythera shipwreck, without the years of training it takes to become a technical diver. Part of a Statue Found! 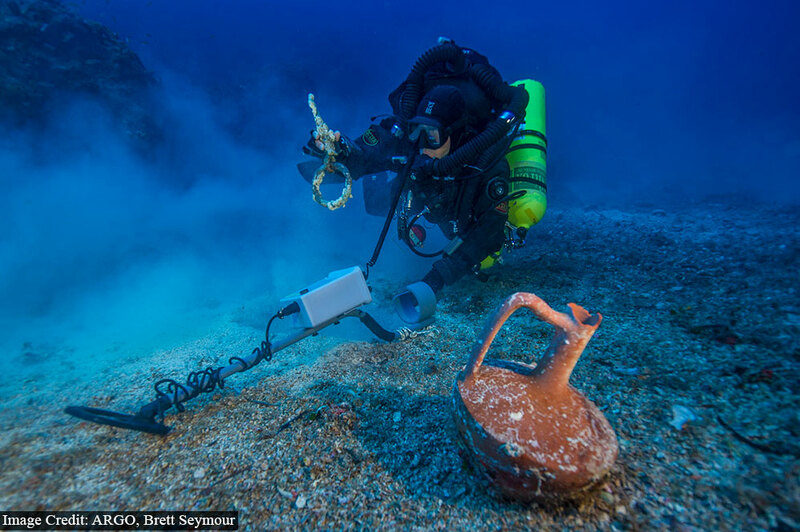 The Hellenic Ministry of Culture and Sports has issued an official press release about finds from this year’s Return to Antikythera fieldwork season. The press release is available in Greek here. One of the most exciting finds was a 210 cm section of a bronze spear, which would have belonged to a larger-than-life statue. Section of a bronze spear recovered that would have belonged to a larger-than-life statue. Metal detector survey of the shipwreck area. 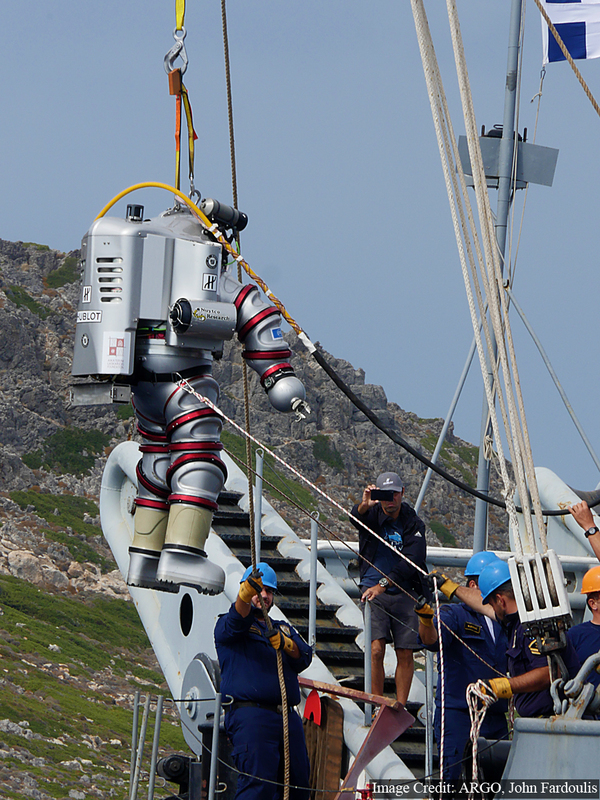 Exosuit was deployed as an new tool for deep water archaeology. 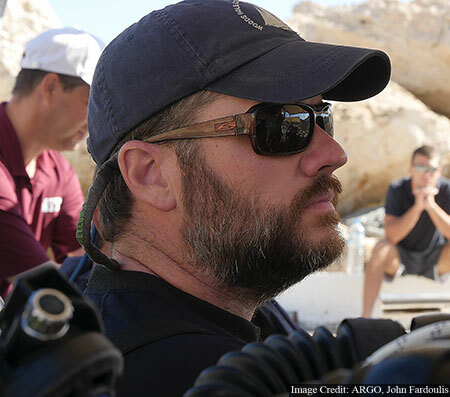 Two separate diving operations were planned for today, with rebreather divers investigating the wreck, and the navy Seal (O.Y.K) team were ready to support the Exosuit on the shipwreck. 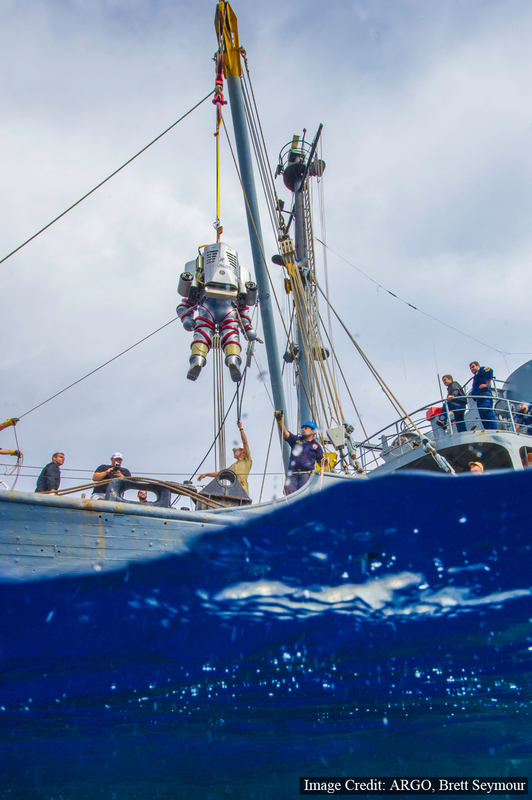 The rebreather team spent 90 minutes on the bottom, with a further 90 minutes of decompression, completing a three hour dive. 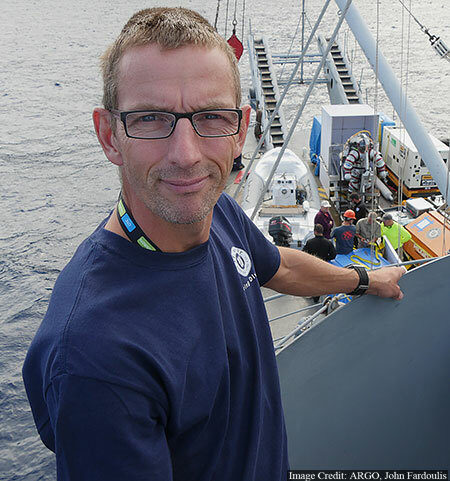 They took an extensive amount of photos and video, collecting sediment samples and recovered an object of interest. 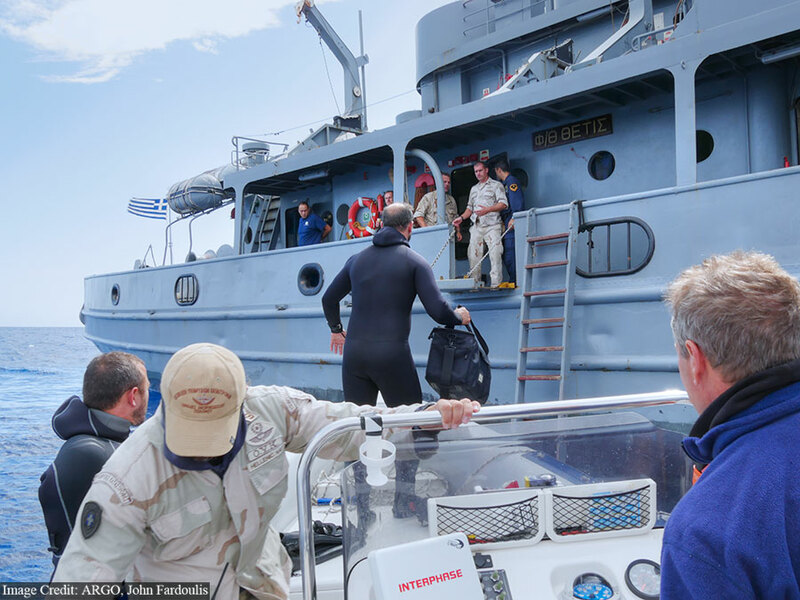 The Hellenic navy Seal (O.Y.K) team preparing to board HN THETIS. 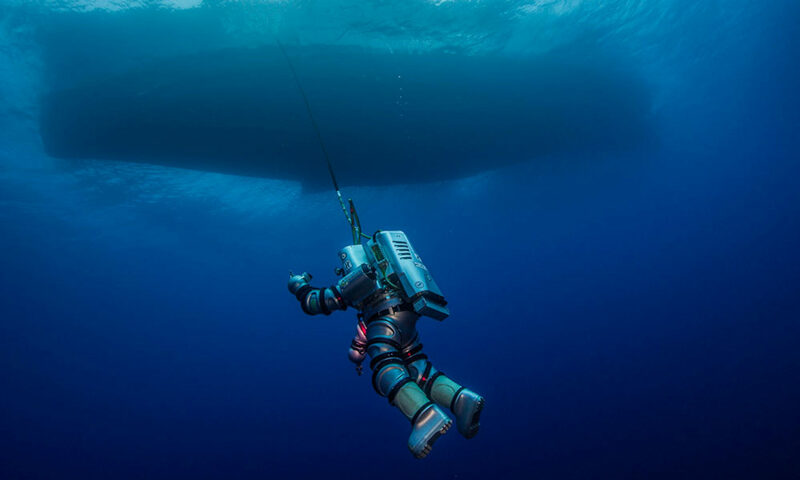 The Hellenic Navy vessel HN THETIS was anchored over the wreck, and there were several tests to see if it was safe enough to deploy the Exosuit in windy conditions, with a 2 metre swell. A ‘hook test’ was completed to see how the large hook on the end of the crane would swing, to decide if Exosuit could be lowered into and out of the water, safely. It was decided that there was too much risk to deploy the suit, so we’ll try again tomorrow. Briefing after the hook test.